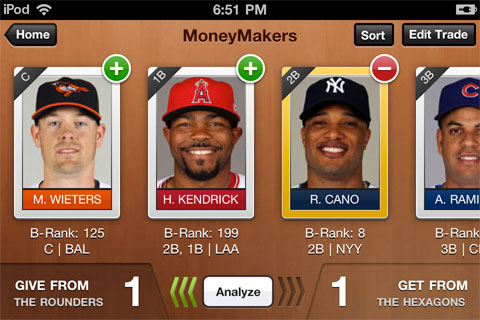 Spurred by the success of the Front Office suite of fantasy baseball tools for the 2011 season, Roundarch and Bloomberg Sports have teamed up to release three new mobile apps, just in time for the fantasy baseball trading deadline. 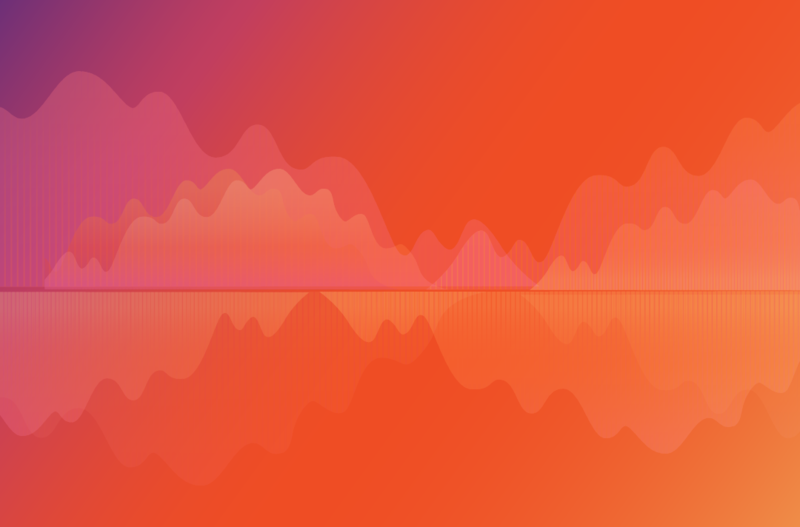 During our first year working with Bloomberg Sports, we designed and developed an online suite of tools and a complementary mobile offering to help advanced fantasy baseball users manage their teams effectively. Beginning with the 2010 NFL season, we broadened the aperture of our fantasy advice to guide a wider range of user types, from novice through advanced players. These efforts resulted in the overwhelming success of the NFL Decision Maker applications, a multi-channel offering supported on NFL.com, and on the iPad and iPhone. 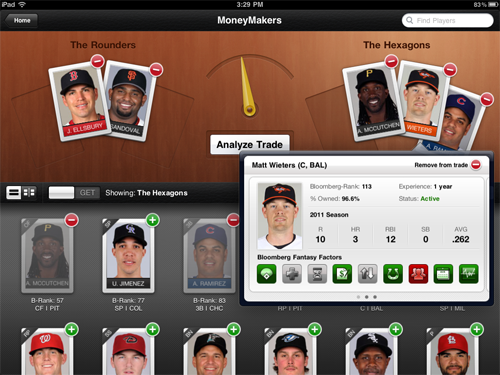 In our second season working together, Roundarch and Bloomberg Sports focused on providing prescriptive answers to key fantasy baseball questions, such as: “Who should I draft?”, “Which free agent should I add to my team?” and “Is this a fair trade?” This focused perspective translates especially well to mobile offerings, which should aim to help users to complete a single task easily and efficiently. For example, the 2011 MLB Draft Kit, released during Spring Training, assists fantasy baseball players with ranking their players before the draft, and quickly identifying their next targets during the draft. After fantasy baseball players draft their teams in March, they transition their focus from pre-season to in-season tools, such as the Trade Analyzer, Free Agent Finder and Lineup Manager offerings within Front Office 2011. 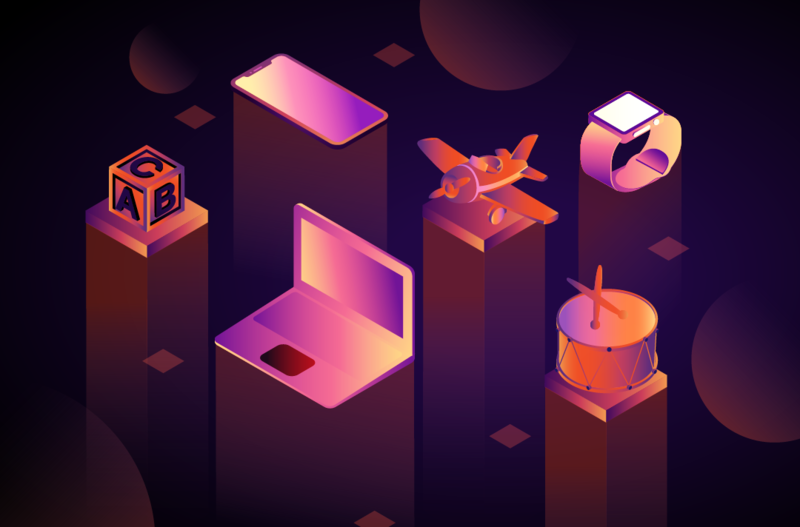 Roundarch leveraged user research to discover the key tasks that users would be interested in completing on mobile devices, and examined the competitive landscape to identify gaps in fantasy provider offerings (i.e., Yahoo! 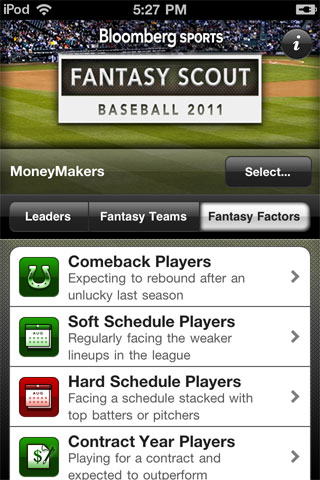 Fantasy Baseball for iPhone) that Bloomberg Sports could address with innovative products. The result of our research, design and development are three new mobile apps: iPad Trade Analyzer, iPhone Trade Analyzer and iPhone Fantasy Scout. In transitioning the Trade Analyzer from the online toolkit to the iPad, we reintroduced a baseball card metaphor that was an original aspect of the 2010 Front Office product. The user experience and visual design teams worked closely to create a realistic wood surface that serves as the canvas for building trades. While the online toolkit uses text fields and drop-down menus to facilitate player selection, the iPad experience is much more tactile, allowing users to drag-and-drop baseball cards on the table. Recognizing that drag-and-drop can lead to visibility issues on a touchscreen device, we complemented this interaction model with an icon on each card that the user can tap to add or remove the corresponding player to or from the trade. An arrow at the top of the interface swings in either direction to provide immediate feedback on balanced trades, while a limited control structure offers a clear workflow for analyzing trades (i.e., select a trading partner, select the players on both sides and view the resulting analysis). Given the time-sensitive nature of the fantasy season, the design team identified opportunities to use out-of-the-box controls, while the development team highlighted built-in components that could increase the playfulness of the application (e.g., shaking the iPad to clear the trade, evoking memories of an Etch A Sketch). While the iPad and iPhone Trade Analyzers were designs and developed concurrently, the limited screen real estate on the iPhone required streamlining the user workflows even further. Early design concepts supported both landscape and portrait versions; however, we quickly realized that the position of the user’s thumbs while switching between their team and their trading partner was more naturally facilitated in the landscape orientation. The iPhone app maintains the table metaphor from the iPad version, but does not support dragging-and-dropping baseball cards, an interaction model that proved cumbersome during our prototyping stage. Although screen size dictated that not all iPhone Trade Analyzer components could be displayed simultaneously (e.g., the three elements of the final analysis), we identified interface elements that could be supported on the iPhone and iPad versions with only minor changes, if any. For example, the processes by which users log into the applications and load their fantasy teams are virtually identical across both platforms. 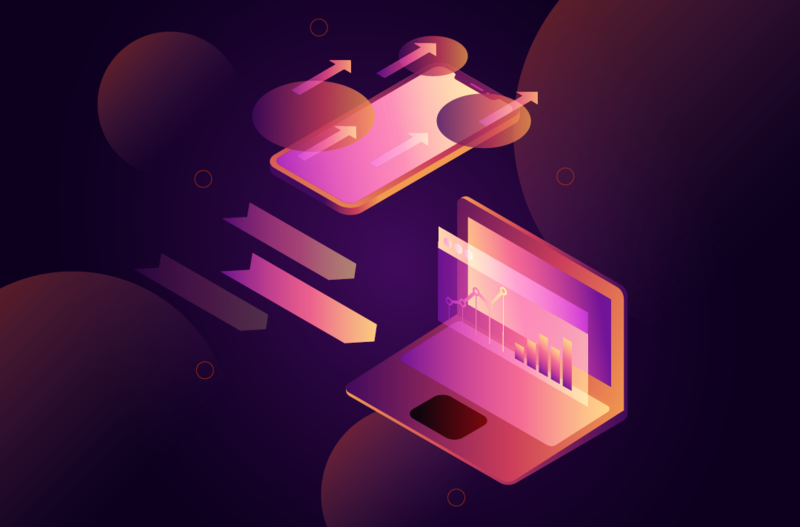 By devoting time to supporting a multi-channel strategy during the conceptual design phase, we were able to reduce development time and improve learnability for users that purchased the applications on the iPad and iPhone. Complementing the trading apps, the iPhone Fantasy Scout app provides users the ability to identify top free agents across all of the scoring categories in the user’s fantasy league. Starting with the interaction model from the iPhone Draft Kit, we replaced pre-season information such as player outlooks, with breaking news and analysis on every MLB player. Statistical leaderboards, based on year-to-date performance, proved more relevant than pre-season player rankings, although we did elect to include the groundbreaking Fantasy Factors, which spotlight key player attributes, such as injury history and schedule strength, that continue to provide value in-season. One of our key design tenets was to ensure that the navigation remained consistent both within and across each of the mobile applications. Early feedback has shown that new users have found the interfaces to be intuitive, and easy-to-use, while returning Bloomberg Sports customers are pleased with the applications’ focus on simple, prescriptive guidance. We have designed a user interface model that is flexible enough to apply to future sports (e.g., NBA, NHL) with only minor adjustments, while the development framework can scale to support additional platforms (e.g., Android). As the fantasy baseball trading deadline approaches and users begin to divert their attention to the football season, Roundarch and Bloomberg Sports plan to continue supporting fantasy players looking for the competitive edge, whether at home or on the go.